General Description: Along the Pacific Coast Ocean, south of the border, in Baja Mexico, you will find a hot spring gem called Puertecitos Hot Springs The setting gives the soaker a unique geothermal therapeutic experience with the combination of sea water and sulfur spring water. This hot springs requires perfect timing to enjoy. Your soak depends on the tide. He's in charge of the soaking hours. Check your local tide chart for best opportunity. Location: From San Felipe, Baja Mexico is 90 KM or about 1 hour and 20 minute drive. Accessibility: Puertecitos Hot Springs is accessible. You drive up to the parking area on a paved road. It is a easy to moderate walk to the bluffs where the hot springs are located. 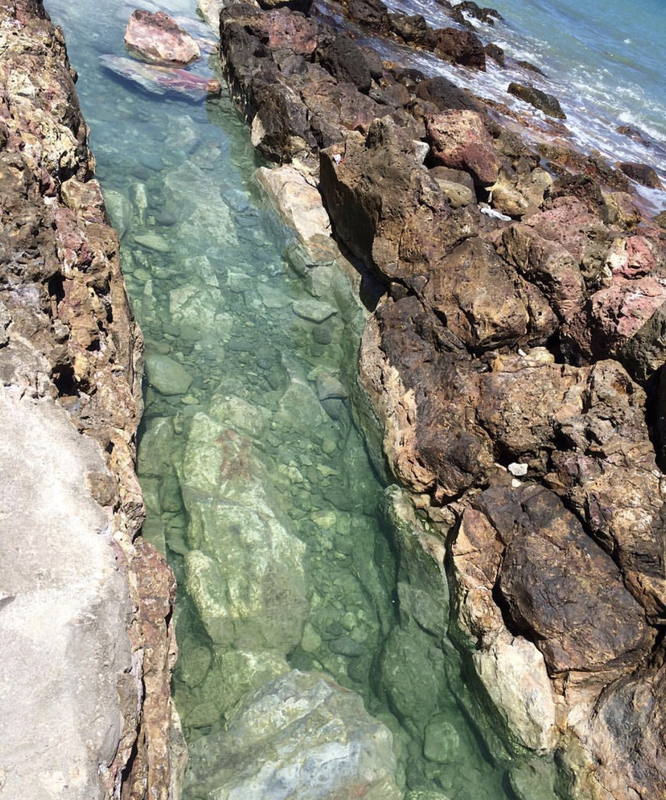 Hot Spring Tips: The best thing to do for Puertecitos Hot Springs is check the tide chart. Timing is critical. This hot springs gets alot of foot traffic from the locals. This hot springs is pet friendly. The hot springs is clothing optional depending on the users. No camping at the hot springs. The city of Puertecitos offers palapa camping, a sandy beach, toilets and a restaurant. It is a great little town. Be mindful of the law in this area go the speed limit. Youtube Video on Puertecitos Hot Springs is below.